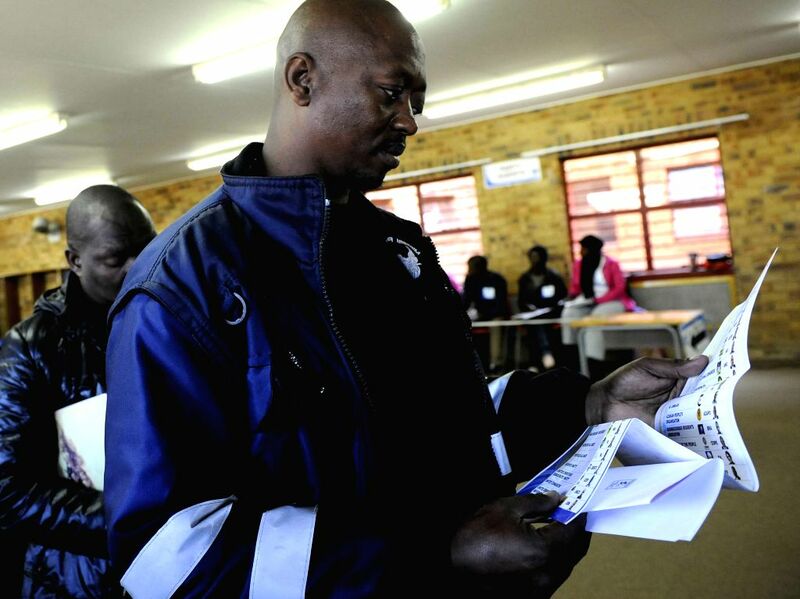 PRETORIA, May 7, 2014 - A man checks his ballot at a poll station in Pretoria, South Africa, May 7, 2014. South Africa on Wednesday kicked off its general election which is the first election during post-Mandela era. 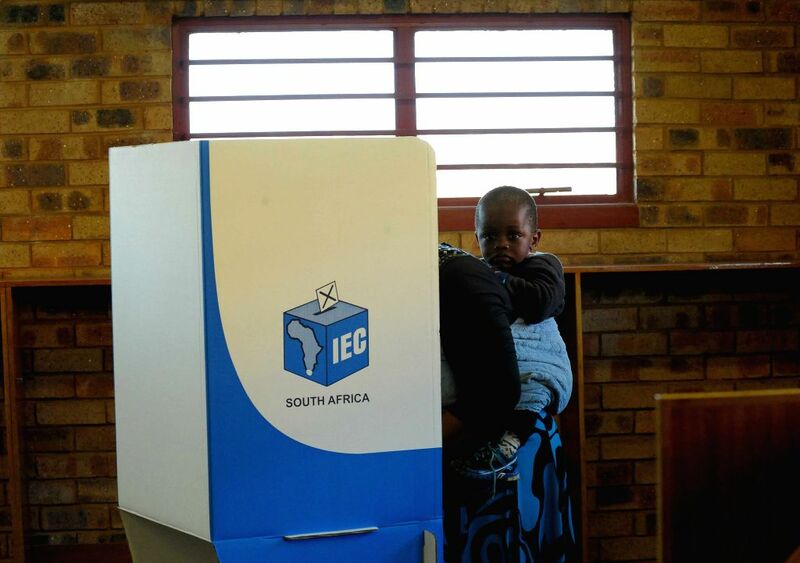 A woman carrying her child fills the ballot at a poll station in Pretoria, South Africa, May 7, 2014.